When Is The Best Time To Send Newsletters? Email marketing is a tough thing, but still one of the best tools we have to promote and sell our golf courses and services. We are always tasting the best days and times to send email newsletters to achieve the best open rates and click through results. 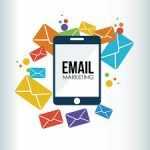 Here is what we have learned over the past 11 years of doing email marketing… there is NO magic bullet. Every golf course, client and customer database is different. In the old days, yup that is only 10 years ago, Google would tell us that 10am Tuesday to Thursday was the best time to send emails. That was likely true back then but as mobile becomes a larger and larger part of our lives that is changing! Email is more frequently being opened on the weekends and in the evenings. We continue to find this evolving and it varies by golf course. We see too many golf courses sending their email the same dates and times each and every month… on the 1st (regardless of the day) and at 4pm. Consistently! Change it up, do some experimenting. Test your email sending habits and do it often. Keep track of every email you send, what time, what day and the corresponding open and click rates. We are sure you will find a new sweet spot and increase your opens and clicks! Regardless of what you do make sure you follow-up on all the leads your email generates. Open and click rates are not solely a product of the day and time an email is sent. We also encourage you to experiment with subject lines. In some cases, bland subject lines (such as Golf News) might seem boring but they likely help your email avoid spam filters. Try some engaging subject lines too but avoid words like sale, deal and discount for the same reasons. You should also move your clickable links to various areas of your newsletter. Most newsletter programs offer a map of ‘hot spots’ to see where readers clicked the most or spent the most time. Don’t listen to everything you read online. Do your own experimenting. As we said at the beginning every customer database is different.